Purity. Dust, dirt and allergens can easily get into your HVAC system and cause allergic reactions and discomfort as they circulate along with the air. It’s important to have well-maintained air quality products that can keep these irritants to a minimum. Humidity. Balanced humidity ensures more than just comfort. Excessive humidity can lead to problems ranging from stale odors to overpopulation of dust mites and even mold, while too little will dry out wooden furniture and floors and lead to the flourishing of certain kinds of viruses and bacteria. Having the right products operating in your space ensures both the health and the comfort of your clients. Ventilation. Airtight buildings are increasingly common, especially for commercial spaces, but whether airtight or not, any building needs a workable strategy in place for ventilation to prevent air from getting stale. The friendly technicians of Valley Air Conditioning can provide the support you need to address all these factors and ensure your commercial air quality is the best it can be. Contact us today to find out how we can help. 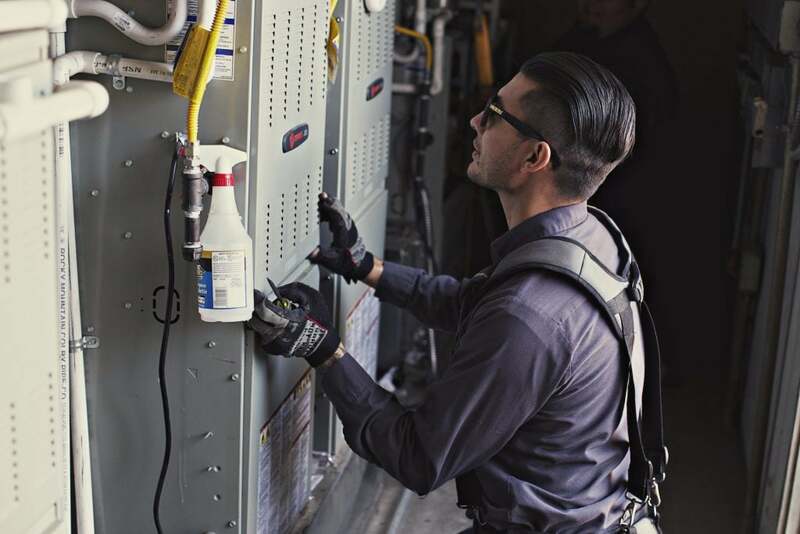 With forty years of proven service to the business community across the Fresno area and thousands of satisfied customers, the certified and award-winning pros at Valley Air Conditioning and Repair have the expert knowledge and cutting-edge air quality products your business needs. Contact us today and we’ll be happy to provide a free consultation.